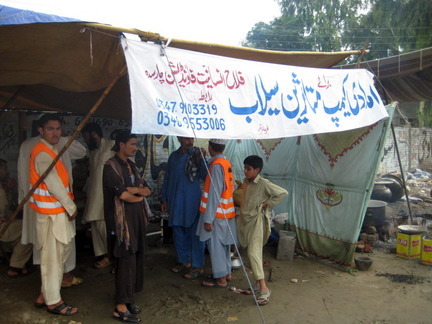 Following are New Photos of Jamaat ud Dawa Relief Activities in Pakistan Floods. Jamat Ud Dawa, Jamat Islami and Many other Islamic Organizations are working very well in Flood Effected Ares. They are giving Food, Medicines and Camps to Millions. They are also Rescuing People from Flood Effected Areas and bringing them to Save Areas.